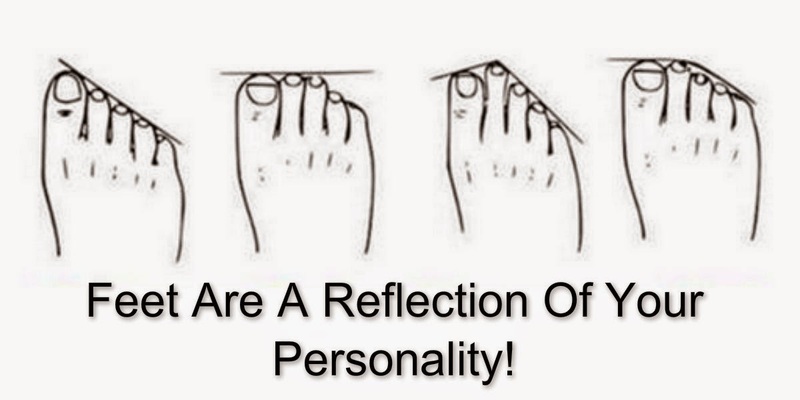 Awesome Quotes: What Does Your Foot Shape Says About You? Is your second toe longer than your big toe? The shape of your foot can say a lot of things about your personalty and even provide information about your health. Read on to know about it. There are mainly four different shapes of feet. 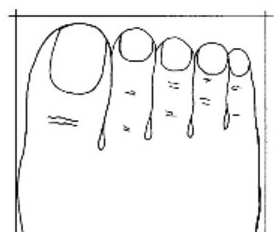 This refers to a foot in which the length of all the toes, including the first or big toe, is almost similar, making it a rectangular shape. It is also called ‘Giselle’ or ‘Peasant Foot’ and is personalty trait of those who like to think carefully, especially before making a decision or reaching a conclusion. These individuals always weighing up the positive and negative aspects before making any decision. They’re practical and reliable, meaning you can really depend of those square-toed friends. 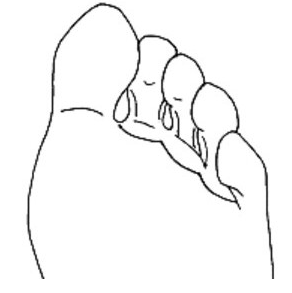 This refers to a foot in which the second toe is longer than the rest of the toes, it is also called as “Fire Foot” or ‘Greek Foot’. The fingers on this foot are spread apart and create a shape that is similar to that of a triangle. Individuals who possesses “flame foot” are active, sporty and creative, and is enthusiastic about new ideas and other people. They like to encourage and motivate those around them. They are sometimes very impulsive too, which can lead to excessive stress for themselves and those around them. 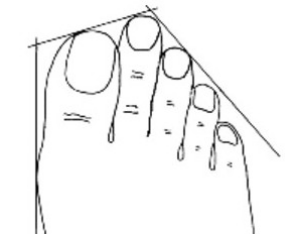 This refers to a foot with big toe and rest of the toes are in proportion to each other so that the feet are aerodynamic. It is also called as the ‘Roman Foot’. Individuals who possesses “Common Foot” have balanced personality and well-proportioned body shape. They are extrovert and sociable nature. The owner is always ready to learn new things and to engage in innovative intellectual experiences. They like to travel a lot, which is why it is sometimes called the “foot of air”. 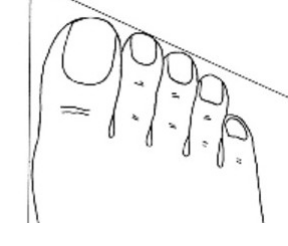 This refers to a foot with toes that are fused together with an elongated, tight shape. This foot has a delicate and fine shape, denoting that owner is a dreamer and an idealist spirit. This foot is also called “Water Foot” or ‘Egyptian Foot’. It belongs to those who cherish their private life and are full of hidden aspects, They often changes mood and can be quite impulsive too. Not just your feet shape, even the shape and size of the toes and fingernails reveals lot of other things about your personality. For example, those with small feet love life and like to have a very hectic job, while larger feet are characteristic of those with the greatest desire to succeed in new ventures. Crooked toes are a sign of surrender, long ones denote ambition, and a very large big toe symbolizes a high degree of rationality.